You can find Tammy here and here on Ravelry. I think my favorite technique would have to be steeking. If I can steek something and continue to work in the round I’ll do it, I love working in the round. Size range usually depends on the style of the garment as well as the motif that I use in the sweater. I look at everything. I watch runway fashion shows on You Tube to see what trends are current. Are fashion styles going long or short, loose or tight fitting? I don’t think that their designs influence what I am doing, rather, they give me an idea what way fashion is going, what colors are popular, etc. Knitters are all at different skill levels, but if we over simplify a pattern, it just becomes confusing. I believe the best thing for a new knitter to invest in would be the Readers Digest, Knitter’s Handbook, or the Vogue Knitting hand book all excellent resources. I do everything myself. When I start a new project I start with needles, yarn and a notebook. The idea usually goes through many changes and modifications before it becomes a finished project. It would be very difficult for me to employ a sample knitter for this reason. It is really the process of design, and seeing it manifested that I enjoy the most. Not really, I have many people that I admire in the field but no real mentor. Knitting is my life and I do little else. My day starts at 4:00 am in the morning when I take care of computer work. At 5:00 am I go to the gym for about an hour. I come home and walk for an hour to get the ideas flowing. The rest of the day is taken up with knitting and running my yarn store. I enjoy my day that way. Constructive criticism can be beneficial and I will take it into consideration. If I think a change needs to be made I will make it. As for mean spirited criticism, I ignore it; it is not worth my consideration. Perseverance, you have to have a real love of your craft or it is not going to work for you. I am looking to do a children’s collection of knitwear. 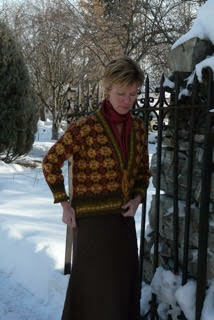 Also, I will continue to do the square of the month a knit along that is on my website and Ravelry. 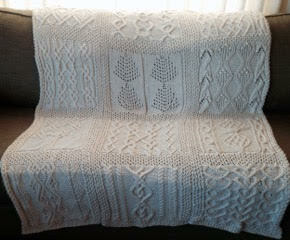 I give a free pattern of a different cable square away every month for twelve months. At the end of the year the knitter has enough squares to create a throw. I do take the patterns down after that time frame and sell all the squares in their entirety as a sampler afghan. 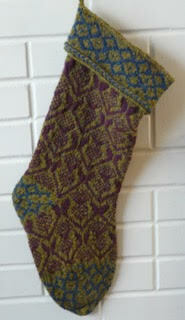 Right now I am very inspired with Fair Isle and color stranding, so look for more pattern in that style. Cable designs will not be left out. I am also working on cable sweater designs.